Niche marketing secrets! Learn how to turn small markets into huge amounts of cash! If you would like to have new customers on tap 24-hours a day, 7-days a week, without having to spend a lot of money, there’s a brand new eCourse (just published) that has the most astonishing secrets you will ever discover anywhere. I’m literally shocked at what he revealed (and you’re gonna find out ‘exactly what’ in just a second). He’s the known as the World’s First Quick-Turn Marketer with an unsurpassed success in the competitive world of buying and selling, with a proven track record of selling over $17.3 million dollars of merchandise and services! His efforts often increases his clients’ sales by double, triple… even as much as 417%! He’s the author of many best-selling books, including Forbidden Psychological Tactics and Underground Sales Lettersand the publisher of Million Dollar Copywriting Secrets of the World’s Greatest Copywriters. He is the founder of Wizard Talk™ – a priceless, one-of-a-kind recorded series with the “Who’s Who” of super-savvy marketing and business brilliance. So Who Is This Million-Dollar Marketer? My friend, it’s my pleasure to introduce you to Dan Lok. Does his name sound familiar? If you’ve spent any time at all doing Internet research on the most successful copywriters in the business, Dan’s name will certainly ring a bell with you. Dan is renowned worldwide for his business success. Just doing a search for “copywriting” or “marketing” usually brings up something where you’ll find Dan’s name. And if you’ve bought anything in the past twelve months, the chances are good that your decision to buy was influenced by copy that’s been “Lok-ed” and loaded for success. But, here’s a warning: Before you request your copy of his eCourse, you better know some of the secrets revealed in it. You see, Dan is a blunt, straightforward, tell-it-like-it-is guy. So his language is rough, raw, edgy… and if you’re easily offended, this eCourse is probably is NOT for you. — Daniel S. Peña, Sr. Note: Mr. Peña turned $820 into a $400 million market-valued energy company in 8 short years! with such impact. He has an extraordinary way of capturing people’s attention through the written word. Dan knows writing AND he knows marketing. 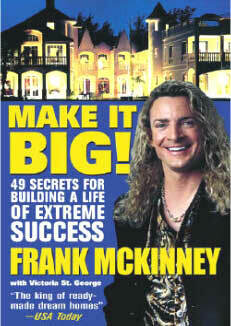 Best-Selling Author, “Make It BIG! 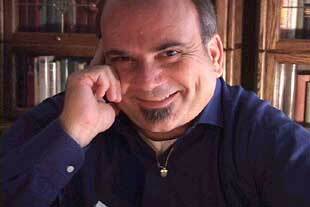 “Dan Lok tells you critical marketing facts that would take years to learn in the real world. He pulls no punches as he shows you clearly how to seriously increase your profits while sidestepping the many mistakes made by ordinary marketers. — Joe Vitale, world famous copywriter, best-selling author of the most influential books on marketing Spiritual Marketing, and Hypnotic Writing, and founder of the renowned The Hypnotic Marketing Institute. How Dan started with no money, no connection, and not a word of the English language on his lips and become one of the most respected marketers in the world! The major flaw in 99% of all advertising in North America today… and how to avoid it in your advertising! Niche marketing secrets! How to turn small markets into huge amounts of cash! How to practically force your prospects to come back to your business over and over to spend more money again and again! The fastest and easiest way to turn your sales letters into sizzling cash-generators! How you can cash-in on another company’s million-dollar advertising budget. Use their money… not yours… to get filthy rich! The 2 kinds of customers – and how to make the most money from each group! How to use the “Give More, Get More” principle to get more people to send you their hard-earned money! Never write a single word! How to legally and ethically “steal” other people’s words – even entire sentences and paragraphs and use them to make all the money you’ll ever want! How to stop people “dead in their tracks” – and force them to read your sales pitch! 6 Quick-Turn Marketing tactics for multiplying your profits with zero risk! How you can bring in optimum profits with your backend offers! ZERO refunds! How to get virtually no refunds on everything you sell! How to use a guarantee that will make people buy now – and blow away your competiton – by changing only a few simple words! How to get people emotionally attached to you – and have them feel like they know you, like you, and trust you. Your most valuable asset. If you have this, you’ve got your own moneymaking machine that can crank out cash on demand! How to double the power of your testimonials… and make them really sizzle and pop! How to break through the skepticism barrier! Get your customers to instantly believe what you say! This is so effective it will stun you! One word to add to your order from that will instantly increase your response and cash flow! A fast, simple, and fun away to explode your profits, make your customers as happy as clams, and laugh all the way to the bank! 2 easy ways to get powerful ideas that could make you a fortune on the Internet! How to get more for less! How to use the power of leveraging to gain mountains of sales and profits – with the LEAST investment of your time and money! Instantly increase your sales by 250% to 500% by doing this one simple thing! Anyone who wants to discover the ultimate secrets to generating maximum money in minimum time would be CRAZY not to get this powerful new wealth-building eCourse! Dan walks his talks. He’s been there and done that. He’s honed his chops in the business battlefield. He’s earned his reputation from years in the trenches of advertising – writing ads and killer ad copies that create stunning fortunes for small businesses and entrepreneurs. And now he reveals all his top secrets to you in the most amazing eCourse to ever be offered on the Internet – Quick-Turn Marketing Exposed! Everything Dan offers is platinum. The secret techniques and proven methodologies revealed in this eCourse are a goldmine of cash-generating tips, tricks, and strategies! Use them to instantly turnaround any business literally overnight and flood your business with more customers and leads that you can handle! The complete, unedited, uncensored Quick-Turn Marketing Exposed! audio program – 2 FULL, uninterrupted hours of Dan’s Rage, Rant and Rumble! The 51-page Quick-Turn Marketing Exposed! e-Manual in PDF. This manual has a ton of information and is worth its weight in SOLID GOLD. The e-Manual contains the complete written transcripts of the audio program so you can follow along as you listen to the audio program. And it makes Quick-Turn Marketing Exposed! easy to learn from even when you’re away from your computer. Buy with Confidence and No Risk — You’re “Insured” With My 90-Day Guarantee! My no-risk, total guarantee protects you in every way. It really is unbelievable, but it’s true… For less than the cost of dinner and a movie – just $27.00 you can be on your way to massive success. So go ahead and order this amazing program today! Tomorrow will literally be the first day in the rest of you new, exciting, happy, and incredibly successful life.